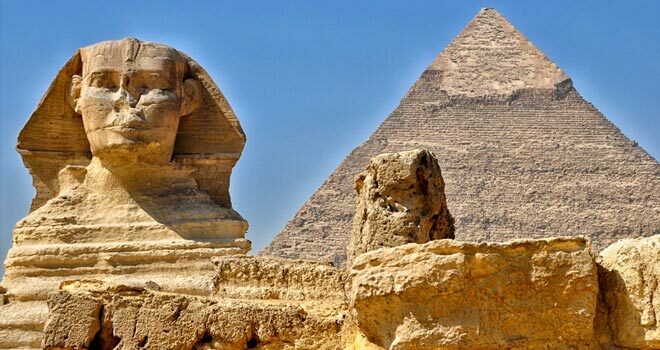 Your contract will be with Memphis Tours Egypt S.A.E which is Egypt Travel Gate partner and service provider. It is an Egyptian tour operator Licensed 30 (since 1955). Memphis Tours Egypt is a Member of the Egyptian Travel agent association (ETAA) for your financial security, also a member in IATA & ASTA international associations. To secure your payment you must initially notify the company with your request through the booking forms in our website .Then the company representative will discuss & finalize with you the final arrangement & send you the details in the final confirmation. You must confirm these details and make the correct deposit/payment, as discussed in your details; to the company account by wire transfer or credit card (Visa™ or MasterCard™ Cards are accepted). If Reservations should be made as early as possible to book the desired holiday, Space will be secured upon receive a deposit of 25 % or at 50% during the Christmas and New Year holidays and the packages included flights. This deposit forms part of your final payment. Deposits can only be made by bank or you may send via Western Union or by credit cards (Visa™ or MasterCard™ ) and should be received within 7 days of booking. You will pay a certain amount on every month depending on the total amount of your tour booked with us to cover 25% or 50% ( during Christmas /New Year and Easter Periods ) from the total amount by 6 monthly installments before your arrival. Between 40 and 30 days before your arrival date, 25% of the entire tour price will be deducted. Between 29 and 15 days before your arrival date 50% of the entire tour price will be deducted. Between 14 and 7 days before your arrival date 75% of the entire tour price will be deducted. Between 7 and 1 days before your arrival date 100% of the entire tour price will be deducted. Also, there is a cancellation fee on all domestic flights in case you book a tour and you would like to cancel it at any time before starting your tours. The cancellation fees of the domestic flights are subject to the airlines cancellation policy which changes from case to case. Tipping is a customary attitude for expressing ones satisfaction of good services rendered to him by staff on duty with him. We advise if you are willing to offer it, this would be great – if not, you are not obliged to do it. If you have a complaint while you are in Egypt. Please notify the company (Memphis Tours Egypt S.A.E) immediately, as most problems can be solved on the spot, if you feel your problem has stilled not been resolved please call the chairman of the company, but if after you return home you are still not satisfied you must write to the Egyptian travel agent association. It is unlikely that you will have a complaint that cannot be settled amicably between us, however, if this is not the case any dispute arising out of, or in connection with this contract, may (if you wish) be referred to the Egyptian Tourism Ministry in Cairo.